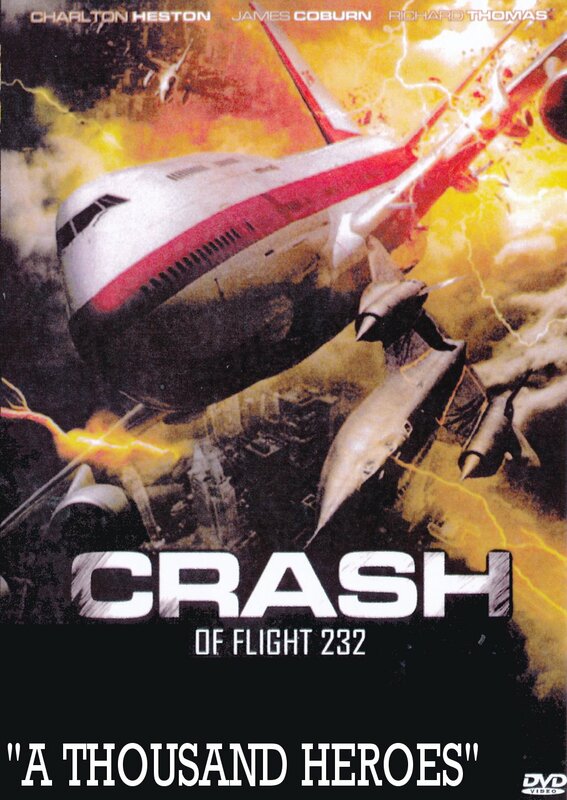 First having aired on TV in 1992, CRASH LANDING is a highly well-made dramatization of the saga of United Airlines Flight 232 which, while enroute from Denver to Chicago on July 19, 1989, suffered a catastrophic explosion in its tail engine which severed all the plane's hydraulic lines. This meant that the crew, led by Captain Al Haynes, had almost no control over the aircraft, and that they would have to come in for an extremely difficult landing at Gateway Airport in Sioux City, Iowa. With no way to stop, the plane broke up on impact, scattering debris across the runway and into nearby cornfields. But miraculously, of the 296 people onboard, including Haynes and his crew, 184 managed to survive the horrific ordeal. Although it is a TV movie, the story and cast are all ably directed by veteran Lamont Johnson, with a good script by Harve Bennett (STAR TREK III). 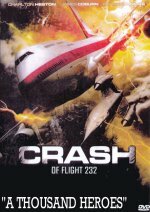 CRASH LANDING (later retitled A THOUSAND HEROES) is one of the best true-life airline disaster survival stories ever put on TV, and is well worth seeing.